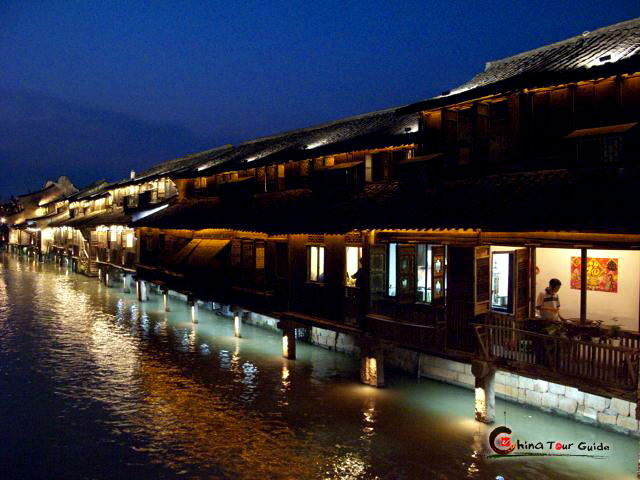 Lingyin Temple is one of the most significant and beautiful Buddhist monasteries in China. 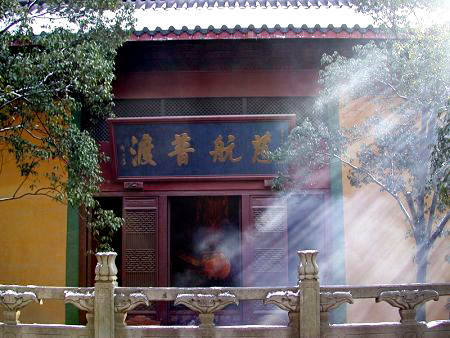 "Ling-yin" means "Soul's Retreat" in Chinese, therefore, the temple's name is commonly literally translated as Temple of the Soul's Retreat. 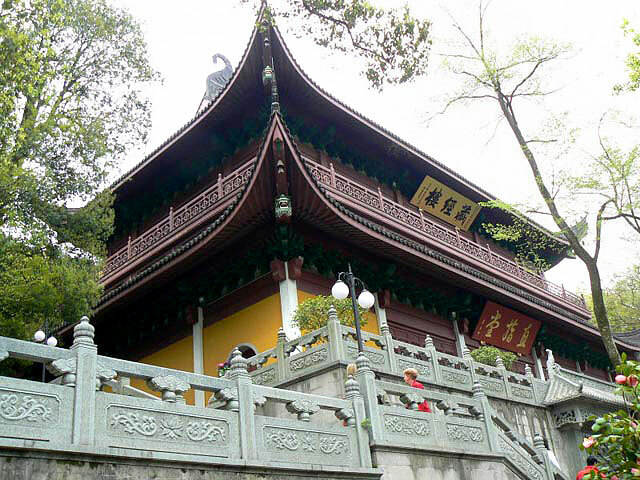 The temple features a large number of grottos and religious rock carvings, the most famous of which is the Feilai Feng (literally "the peak that flew hither"). 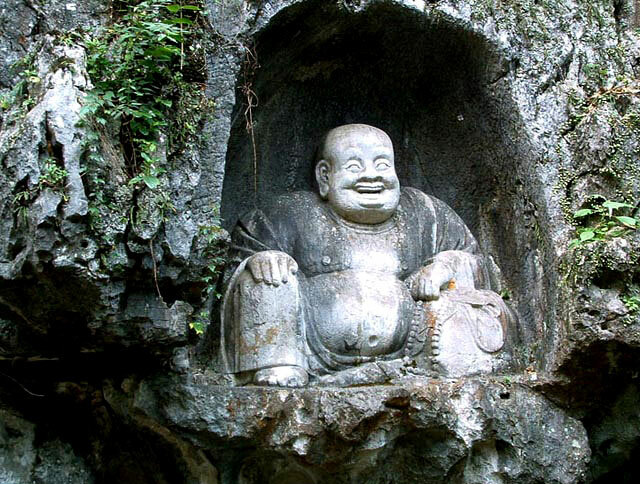 The entrance to the Lingyin monastery is lined with hundreds of rock grottos that contain detailed religious rock carvings of the big-bellied "Laughing Buddha." 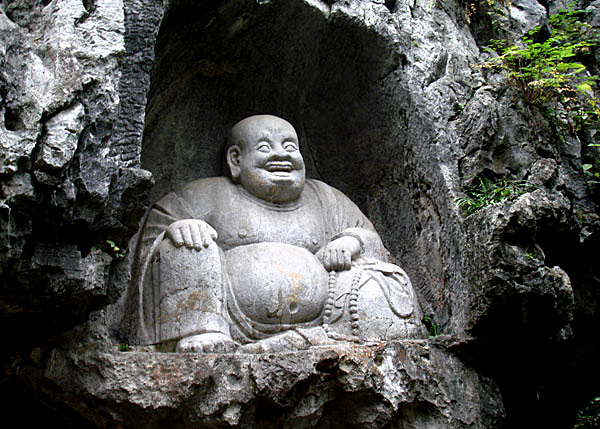 One of the most famous carvings is the Feilai Feng, meaning "the peak that flew hither," or "flying peak." The term "peak" denotes the incongruous look of the weathered limestone in relation to the surrounding hills. On the ceiling of the main grotto, which is dedicated to the bodhisattva Guanyin, is a crack in the rock that stretches up to its surface. If one stands in a single position, a tiny sliver of sunlight can bee seen. This phenomenon is described as seeing "one thread of heaven". The Temple contains an important collection of Buddhist literature together with many other treasures. 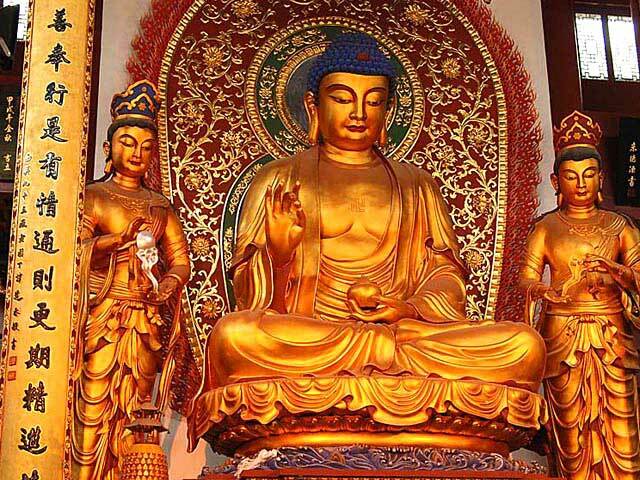 As a consequence, it is a great storehouse of information for those who wish to study aspects of Chinese Buddhism in detail. The palaces, pavilions, and halls together with their many figures of Buddhist deities represent a splendid and unique collection of architectural and artistic cultural relics. The various buildings and pagodas date from the Southern Song, Ming, and Tang Dynasties. Among the ancient writings are scriptures written on pattra leaves, the Diamond Sutra copied by Dong Qichang in the Ming Dynasty, and a wood cut edition published during the Qing Dynasty. To add a final memorable touch to your visit, make sure to dine at the Ling Yin Vegetarian Restaurant located near to the Temple. The vegetarian dishes offered are typical of the Chinese culinary style and it is little wonder that in such a setting the excellent repast is frequently regarded as 'food for the gods'. 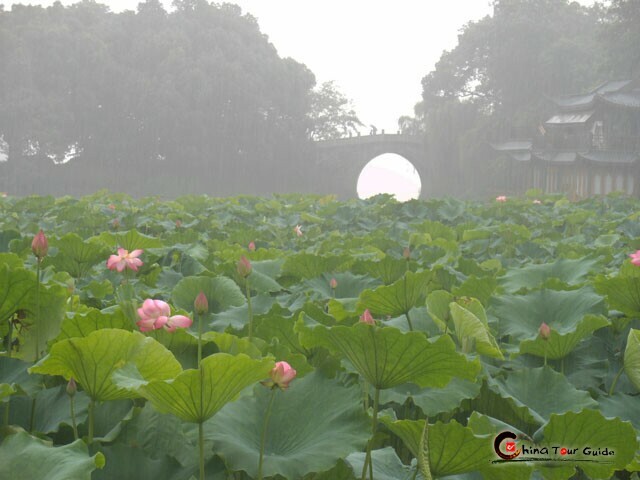 Please click " " to add the attraction in you favorite list, let us plan a private Hangzhou Tour for you.